Being always on-the-go means living out of a suitcase. This involves many bags within bags, or what I like to call ‘bagception.’ The trick is to find smaller bags that are easy to fit inside your luggage. And for someone like me who can be clumsy at times, getting those baby bags that have a little protection from the elements matters. This rings especially true for all my electronics and their accessories. I’ve been through a few replacements over the years either because of misplacement or moisture renders them unusable during my outdoor travels. I needed to find something waterproof. It was MetroDeal to the rescue. 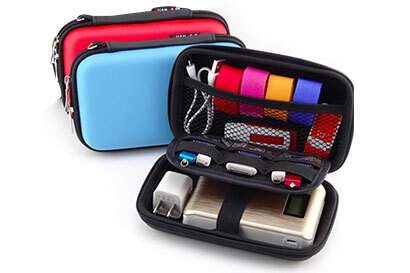 I found this nifty waterproof gadget organizer that could fit my gadgets and all their accessories. My power bank, assorted charging chords and flash drives can now be safely tucked inside. 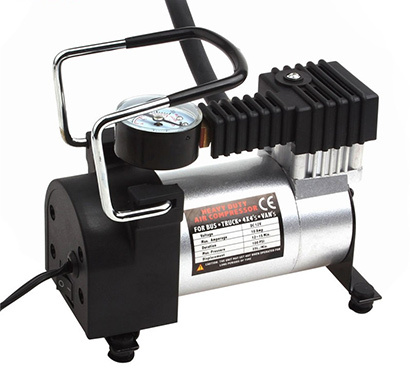 I can take it with me everywhere I go regardless of the weather or terrain conditions. And at 72% off, it was a steal! I’m a kikay mom, and I have to say, this nappy bag made me super happy. 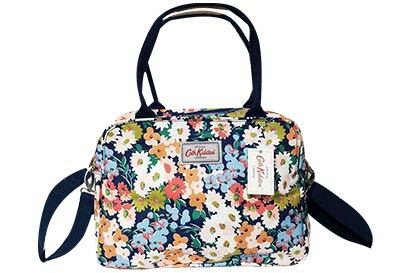 It’s tough to find baby accessories and bags that fit your style as well as your baby! All of my baby girl’s stuff is inside, and I must say, this isn’t just a pretty bag, it’s super functional too. There are enough compartments for the bottles and even zip cases for other tiny things you don’t want to lose like the pacifier, bib, etc.! There was even a bottle case when I opened the bag, so I was pleasantly surprised with the freebie. There are two colors available on MetroDeal, and I have the one in the daisy bed color. I picked it because I think the handle of the bag is longer and I like to sometimes wear the nappy bag as a shoulder bag. Overall, five out five stars for me. It’s an investment that I’m sure I’ll use again for my next kid! A friend recently moved into his own place. I knew I had to give him something as a housewarming gift, especially since he took the time to host a moving-in party with us, his close friends. 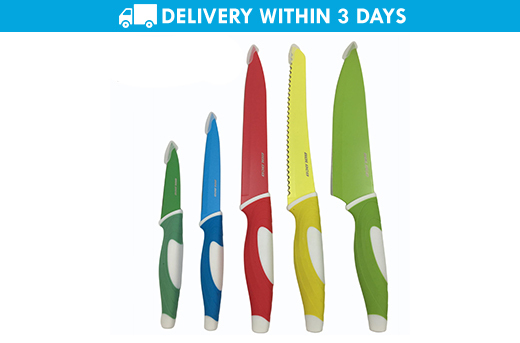 I think this 5-Piece Kitchen Knife Set is the perfect gift seeing that he loves to cook. I want to see him be better as an amateur cook and hopefully turn this hobby into his full-fledged career. The set includes five different knives that are cleverly color-coded. This way, he doesn’t have to look and check the blades every time he needs one to prepare ingredients. He only needs to remember the type of blade and the color of that knife in the set. I think he’ll personally use the neon green one the most! Each knife is very sharp, too, and easy to clean. And the best part, I got this all for less than P500, all thanks to Metrodeal!